There are several common ways to consume cannabis. Different methods provide different elation and sedation. Users usually are able to ascertain which method they prefer by trial and testing. the Magic Dragon has performed surveys in California of marijuana consumers to determine the common methods used. Users share common denominators when it involves cannabis consumption. 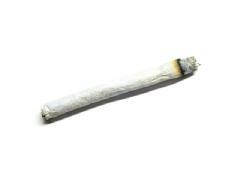 A joint, also known as a marijuana cigarette, is probably the most common method of cannabis consumption. It is easy to use and smoke. There are many brands and sizes of rolling papers used make joints. Rolling a joint by hand requires skill. It is not difficult for many. There are devices to assist in rolling cigarettes, as well, if preferred. Joints are preferred by many for it’s of use and portability. A pipe is a common device used in smoking. Using a pipe involves filling the bowl and smoking the cannabis. This method is common due to the ease and rapidness, along with portability. A pipe is sometimes harsh on the throat depending on the user. Along with a pipe, a screen is required for ashes not to be inhaled. Screens are available in glass also for people using glass pipes. Discarding material is easy also. Different shapes and sizes of pipes provide a variety of elations. A bong or a waterpipe is also common. 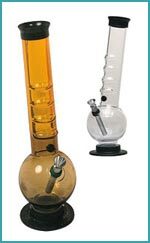 Bongs are available in variety of shapes, colors, and sizes. Usually, water is placed in a chamber of the bong to filter the smoke. This alleviates harshness on the throat and enables you to consume more marijuana in one inhalation resulting with better elation and sedation. Bongs are easy to use but a bit more difficult to clean. Some bongs have two or three chambers for better filtering. Some bongs are 6 inches, and some are longer than four feet. Some are made from plastic, many are made from glass. Bongs also use screens. Using a bong is smoother on the throat due to the water filter. Vaporizers are devices that heat the herbs to be inhaled, not to the point where it burns creating smoke, but enough to extract the THC as vapors. This method has been researched and studied to prove that using this method is healthier than smoking. Studies have shown that burning herbs will release harmful toxins and chemicals, along with THC. Using a vaporizer has many advantages, aside from health. Using a vaporizer will release the rich flavors not tasted with smoking. 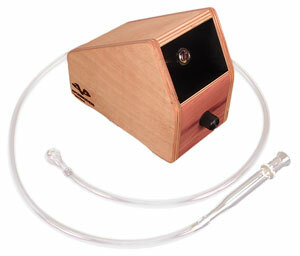 Many vaporizers are not used for portability because of the power requirements. All require a power. Most require a wall socket for power (110V/220V). Some are portable that implement batteries for portability. There are other methods to take advantage of the benefits of marijuana. Users need to determine which method, quantity, and strains to be used for relief. the discovery of the New World. Be sure to extinguish your bong mix completely when you have finished with it. I will say that with the mistakes that I’ve made in my life, I’ve learned from them.